Being crowned with titles is nothing new to Charleston. Travel + Leisure called the city as ‘America’s Most Friendly City’ and the Southern Living magazine poured accolades by calling it the most polite and hospitable city in America. The locals here are proud enough to call Charleston their home. The city also exudes its charm to attract people from across the globe. If you have planned to become the ‘proud Charleston citizen’, buy the ideal home here, you can rely on Charleston Property Experts to realize your dreams. Charleston Real Estate provides you with a wide range of options to find your dream home. Charleston Property Experts know more about the nuances of Charleston Real Estate market, guiding you to cut the best deal. What makes Charleston Real Estate unique? The architectural splendor, rich history, mannerly people and distinguished restaurants are some the glowing features of the city that never go unnoticed. It is for this reason that the city is being viewed as one of the best places to raise a happy family. 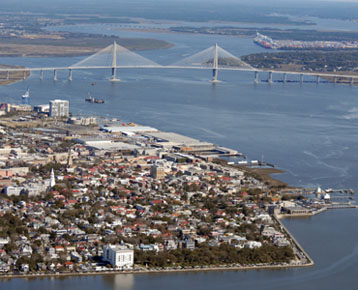 Charleston is a great place for students to pursue their education. There is a wide range of institutions, both public and private, that serve well to nurture future citizens. The city is a proud host of recreational activities. The community here revels in fun games and events organized by the authorities. There is a fun-filled afternoon that allows a family to enjoy music, games and food at one of the reputed playgrounds. Then there is the family kickball game that invites adults and children to get soaked in fun. The recreation centers host various other events inviting the community to be a part of Ping Pong, darts and other activities. Locals wait to enjoy the Sun and Fun event that is organized at one of the best playgrounds here. The event has a lot in store for the community. Participants can indulge in activities including basketball, treasure hunt, swimming and other activities. There are art festivals staged at the city and the festivals celebrate the performance of various artists. Charleston is also famous for its museums and historical splendors. The city is the proud host of the country’s first museum, the Charleston Museum. The oldest public building that has survived the test of time in South Carolina is the Powder Magazine. The other attractions include the Battery, a historic splendor, Rainbow Row hosting houses whose roots are linked to the 18th century. The historical splendors at the city never fail to weave a magic spell over the locals and visitors. Locals also find easy access to the many beaches that can be spotted in the neighborhood. The city thrives in sporting activities. The city takes pride in its professional soccer team, Minor League Baseball team, ice hockey team, rugby club and the athletic club. Charleston’s mild climate makes it a paradise for playing tennis and golf all round the year. There are private as well as public tennis courts and golf courses that allow enthusiasts to enjoy their game. Charleston is now a dining Mecca. There are more culinary options than you can think of, as you can savor Southern specialties as well as European, Caribbean, Asian, and Mexican delicacies. Charleston has a variety of restaurants catering to different palates and taste. The craving for great burger, distinct seafood, barbecue, eclectic cuisine or southern delicacies subsides as you step into one of the dining establishments here. The Taste of Charleston is an event that romps in tens of hundreds of visitors who are allowed to sample the best restaurants here. Buying your dream home is the most important decision that you are about to take. You need the right answers for all your queries before making this decision. You can access our Charleston MLS Database to know more about the homes for sale in the market. Charleston Property Experts have built this database to make it easy for new buyers to search and find the property that they have been looking for in Charleston Real Estate market.